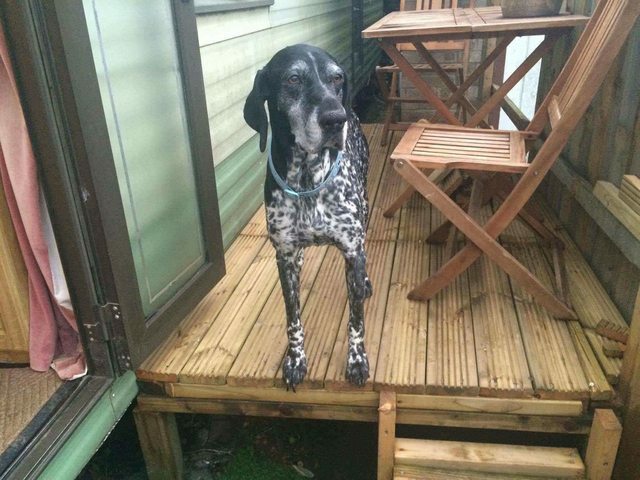 Jamba is a male 12 year old German Short Haired Pointer though he acts more like a 7 year old! He is looking for a home within the East Anglia region preferably with Pointer experience. Jamba must go to a home where there is a resident dog. He is good with children. Poor Jamba is very unsettled in his current foster home and he is crying /whining and wanting to go out most of the day and is constantly in and out He has been seen by the vet and he is okay there is no dementia. He has been with one family all of his life before coming to rescue so he is probably pining for them. We hope that if we find him a home with a resident dog this will help him to settle.He is currently on rescue remedy to help him calm down a little. Pointers are working dogs so he will need a lot of activity/enrichment in his life. He loves the outdoors and going in and out all day so would need access to a large garden. He has now stopped crying/pining for his owners. He seems to prefer men so we think he would need a man in his life preferably one he could be with during the day or go to work with. Jamba is great with all dogs. He is fine with other animals. Shows an interest in livestock but comes away when called and does not chase. Will chase cats if they run otherwise fine. Great with people, fully housetrained, no tummy problems.very gentle when taking food from you.No problems with food at all, you can put your hand in his bowl. 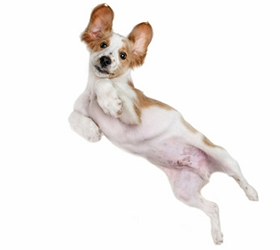 Does pull if on lead – think he has spent most of his life off lead.Needs stimulation – does not act like an older dog at all. Travels brilliantly.